The entrance is the most important part of a home because it is the first and last thing you encounter when entering or leaving your residence. Use the front door (instead of back or side entrances, if applicable) whenever possible because it represents how “chi” enters your home and as a result, life. Make sure the entrance is open, airy, and free of surrounding clutter. Also, fix any squeaky doors to create more tranquility and positive energy inside your living space. Having guests leave their shoes near the entrance is also a great way to keep dirt and bad “energy” out of your home. Humans tend to be pack rats, hoarding everything and storing it around our homes. This practice leads to more clutter, dust, dirt, and even mold or pests depending on what is being stored. With this in mind, get to work and try to get rid of anything you don’t absolutely need. The clutter cleaning process is time and energy consuming, but cleansing your home of unneeded junk will feel therapeutic once the task is complete. You’ll also be able to use the newly created space for decorations, furniture, or indoor plants. Having actual living, breathing life inside your home or apartment provides energy in the form of “chi.” Additionally, air purifying plants like a Peace Lily, Golden Pothos, or English Ivy will improve the quality of the air inside your living environment because these indoor plants have the ability to remove allergens, toxins, and even smoke from a living space. 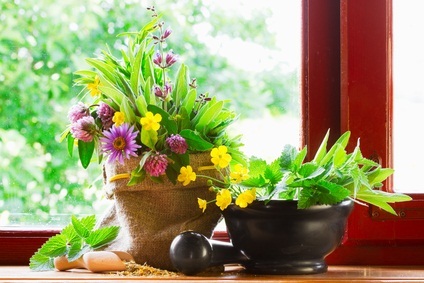 Place plants in areas with “stagnant energy”, like above kitchen cabinets or in dark corners of your living room. Don’t forget to water your plants when the soil begins to dry out and make sure that each gets the amount of sunlight it needs to survive. Speaking of sunlight, allowing as much natural light into your home as possible will bring positive energy into your home. This said, open windows often, which will allow both light and fresh air to flow into your living space. Also, look for dark areas and corners inside your house or apartment and place light fixtures near these areas to add energy to the stagnant space. Burning candles is another great source of energy and light — just remember to put them out before bed for safety. Adding different colors to a living space bring about different types of “energy”, so pick a few of your favorite colors that match and stick to them throughout your home. For example, if you like earthy, calm tones go for colors like green, brown, teal and yellow. Also, opt for furniture with “earth elements” like wood tables and hardwood floors. Having a continuous color scheme throughout your home will provide a sense of balance and harmony to your living space. See, that wasn’t so hard. 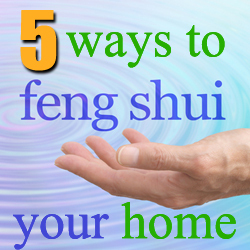 By simply removing excess clutter, letting in some sunlight, and adding color and plants, you can feng shui your living space to a harmonious home that brings you peace and tranquility every time you’re in it. And if your quest for optimal feng shui leads you to find unwanted pests inside your home such as mold or mildew, remember that 911 Restoration offers a FREE mold inspection of your property.